KROME Suite is a package of technological solutions developed for the overall improvement of the Digital Decoration process in the ceramics industry. Made up of KROME Capture, which, along with KEY Cam, enables the colour capture of the tiles; KROME Studio, the first and only multicolour image editor; and KROME Ceramics, which allows the creation of ceramic profiles and image processing for printing on inkjet machines. With KROME Suite it is possible to control the whole workflow of Digital Decoration, significantly improving all production process through this technology. The only one ready to capture digital ceramic tiles. Nowadays, taking advantage of the latest advances in photography, it is possible to digitalize ceramics tiles. Basically, it consists to take a photo with the maximum possible details to edit the image according to our needs. 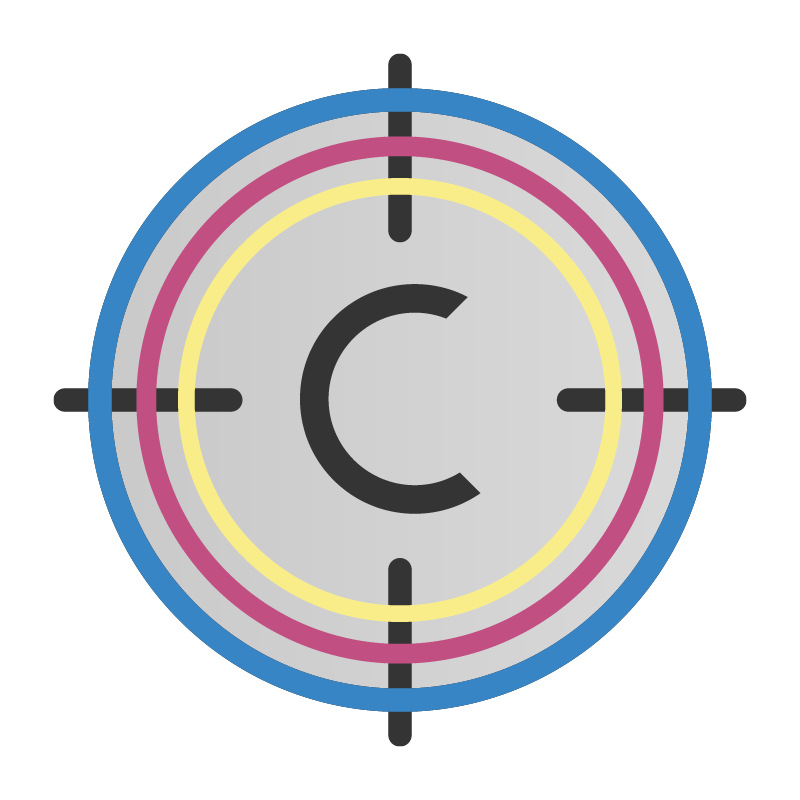 KEY CAM is an image capture system specifically developed for the ceramic industry which allows us the digitalization of a ceramic tile produced under specific conditions. The digitalization of this tile make possible to reproduce it in our production conditions achieving the same tone of the master design without losing quality. The system is composed by a camera, specifically adapted to make photos to ceramic tiles, and a flash illumination system, which allows to capture perfectly the ceramic colors. 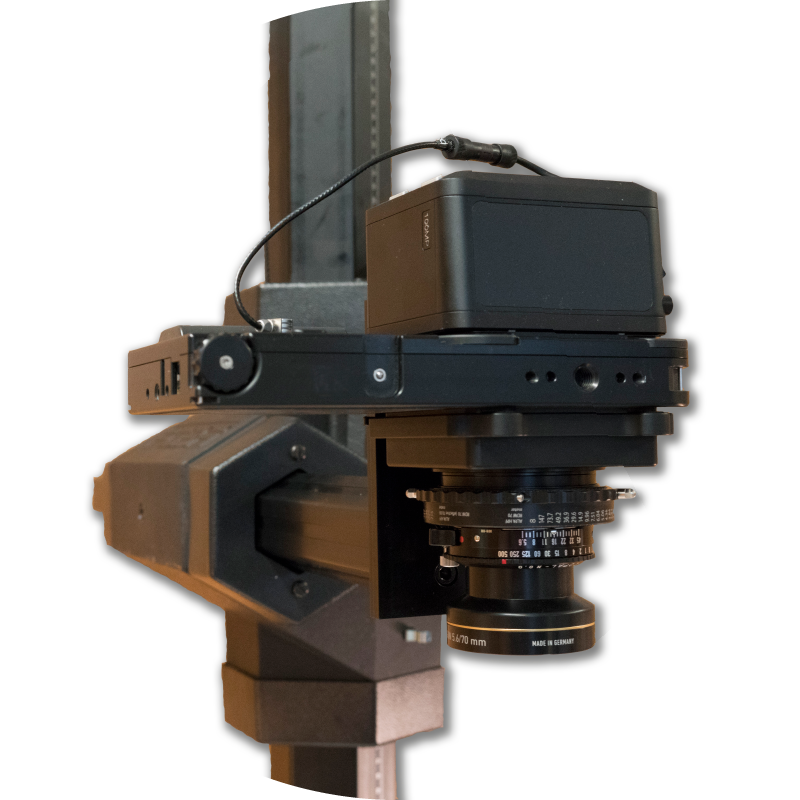 Has a special lens to control all the parameters of the capture process, improving the efficiency of the camera in atmospheres with poor or non-standardized light. Large size camera which offers the required quality for professional photography, avoiding problems thanks to its wide range of work. Compact photography studio specifically developed to capture ceramic tiles, taking into account the different production sizes existing in the industry. The 50 MPx camera and the flash illumination avoid losing any detail of the design, maintaining the definition and the color tone of the master design. This system has been developed to work in the most hard atmospheres, catching every detail of the design with an accurate never seen before. KROME Capture is a photographic management system and the only one ready to capture ceramic tiles. This software includes the essential tools to make photos to different sizes of ceramic tiles, and allows to control the color of digital images, improving the work of the camera and the illumination to get the desired result. KROME Capture is the best actual image converter, rendering ceramic colors in a detailed and accurate way, which allows us to make easy, professional, quick and stable photos. The easiest image capture software around the world. All the work made with an automatic process. All in one click. Put the tile and shoot. Never was so quick. The perfect color capture. Get the exact color without any adjustment in the design. Revolutionary image editor, which allows designers to work with multicolor designs, overcoming the CMYK limitations. Until now, it didn’t exists any multicolor image editor for more than 4 inks. KROME Studio is the only Multicolor Image Editor Software. With it, starts a new era in the Digital Decoration Process for ceramics industry. KROME Studio provides to the designer the ultimate solution to create designs with more than 4 colors, because it allows the image edition not only on RGB and CMYK color spaces, but exclusively, also allows non destructive edition (redo changes in any part of the design process) in Multicolor spaces. This feature allows the edition and visualization of real color for configurations with more than 4 inks, making easier the design work. In addition, KROME Studio, has all the typical features of an image editor software as Photoshop, with a friendly interface. The multicolor image edition achieves a new level with KROME Studio. The design and adjust process are simplified, so that the ceramic designer work will be easier. Along with KROME Ceramics, KROME Studio integrates all the process of digital decoration, from the idea until its production. Simple and easy interface. The adaptation to the work environment is fast because it has been developed focused on making easier the work of the designer. KROME Studio, applies the non destructive edition technique using adjustment layers. With this, it is possible undo any change applied to the image regardless of the number of colors and in any moment of the process, something that until now any software can do. As KROME Studio allows the assignation of multicolor profiles, it is possible to see in the screen the final result of a design after firing. This optimizes the time and resources in the design development process. The exclusive color engine of KROME Studio, allows the conversion from RGB and CMYK color spaces to multicolor spaces without losing information. That means that the designs converted have a bigger color range. 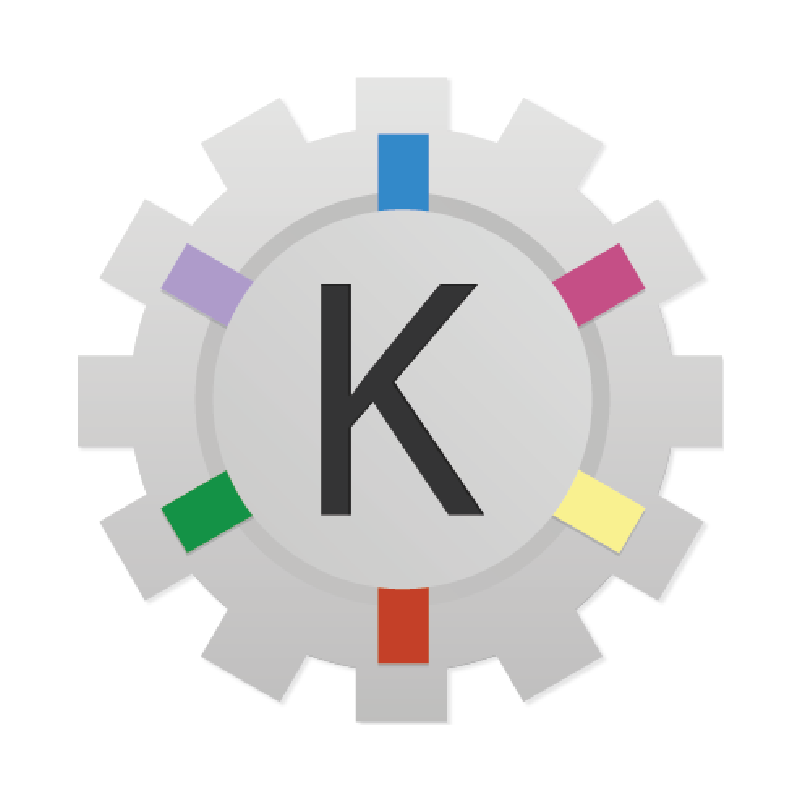 KROME Ceramics is the first Color Management Software specifically developed for ceramic industry. It solves the difficulty to control the color on the digital decoration process. It has been developed 3 different software versions, “Server”, “User” and “Customer”, designed to attend the needs of ceramic industry. It has been designed to improve the entire digital process of a production line with all the associated benefits as a saving of around 20% of ink and a better preview of the final result in the screen before production to improve product development. They have been developed to offer full control of digital decoration in a production plant. With these versions, in addition to the benefits offered by the “Customer” version, it adds the synchronization between different machines, so it is possible to produce the same product in different machines, providing to production plant more flexibility to the manufacturing process. KROME Ceramics, the first Color Management Software specifically developed for ceramic industry and awarded with an “Alfa de Oro” in Cevisama ’14. The Software solves the problems about color reproduction for inkjet decoration process through the use of the Decorative Module, a new ceramic concept which takes into account the body, the glaze, the inkjet configuration, and the cicle and temperature of firing process to get the best ceramic results, well as a set of tools that combine ease of use with color management, making this system the last and best solution to control the inkjet process. 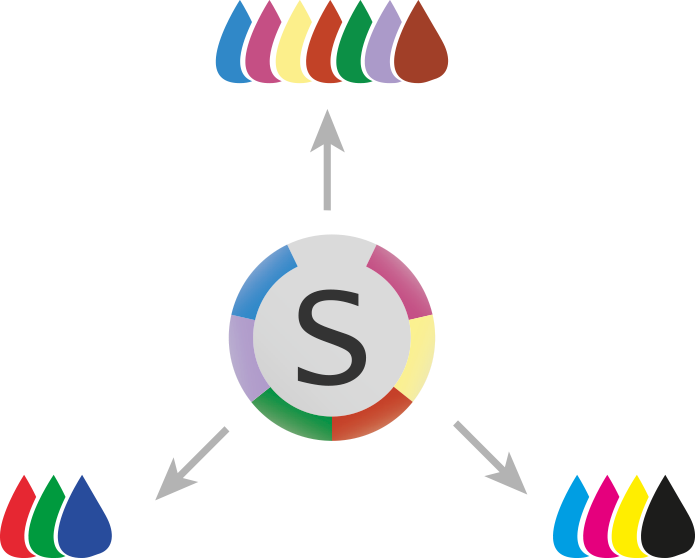 The Decorative Module concept allows the synchronization of different inkjets to produce the same design in machines with different inks or different printheads. KROME Ceramics has a color engine with a mathematical algorithm to get the same color with savings over 20%. This not only affects to the reduction of direct costs by less ink consumption, but also to avoid problems in production. With decreasing problems is possible to increase the productivity and improving the total saving. Due to Decorative Modules of KROME Ceramics, inks can be changed quickly and efficiently. The visualization profiles created by KROME Ceramics, lets you preview on the screen the result after firing of ceramic tiles printed with configurations with more than 4 inks, impossible until now. The preview of the outcome, allows a faster product development from design to tile. The ink separation made by the software provides a greater color gamut, impossible without KROME Ceramics. This, combined with the ink optimization, helps to have designs with less problems and more definition, obtaining higher quality designs. With a calibration process, it is possible keep the tone unchanged over time because of the adaptation of the decorative modules to new printing conditions.